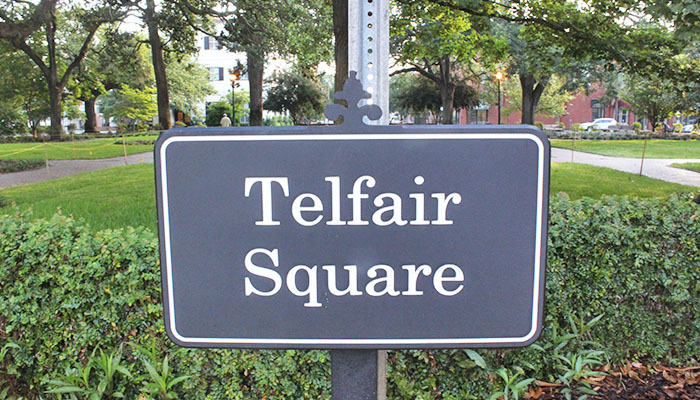 Telfair Square was not always the name for this piece of park at the intersection of Barnard and West President streets, between West State and West York streets. 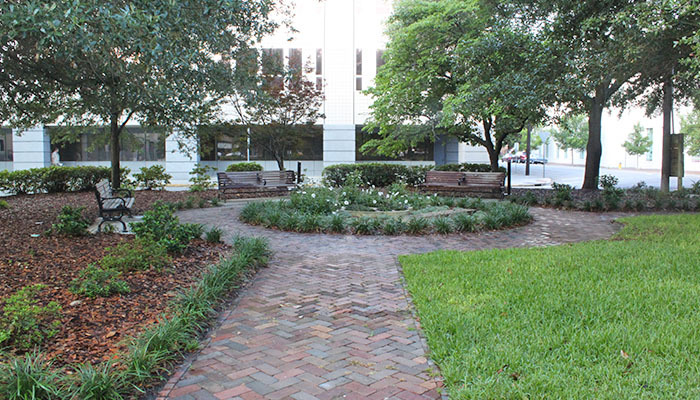 It was laid out in 1733 as St. James Square but renamed a century later, in 1883, after Edward Telfair and his family, who emigrated from Scotland and contributed to Savannah’s cultural and economic growth. 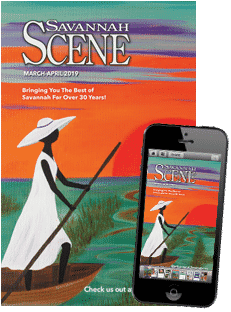 The square isn’t the only honor to their contributions. 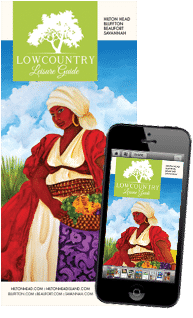 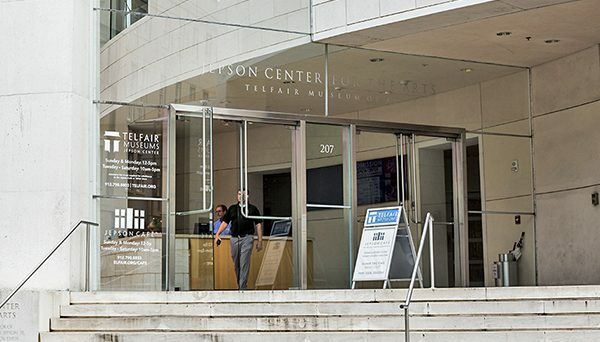 The Telfair Museum of Art and Jepson Center for the Arts both open up to the square, as well as the Trinity United Methodist Church. 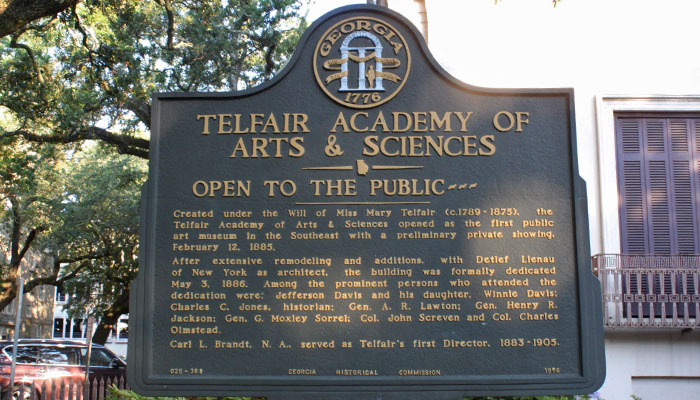 Telfair Academy of Arts & Sciences was established because Mary Telfair, Edward’s daughter who passed in 1875, left in her will that the residence was to be used as a public academy of arts and sciences. 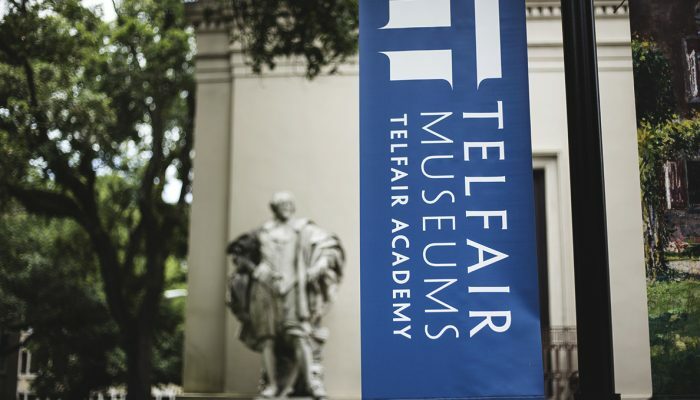 When the building was formally dedicated on May 3, 1886, Jefferson Davis and his daughter, General Henry R. Jackson and General Moxley Sorrel, among others, were in attendance. 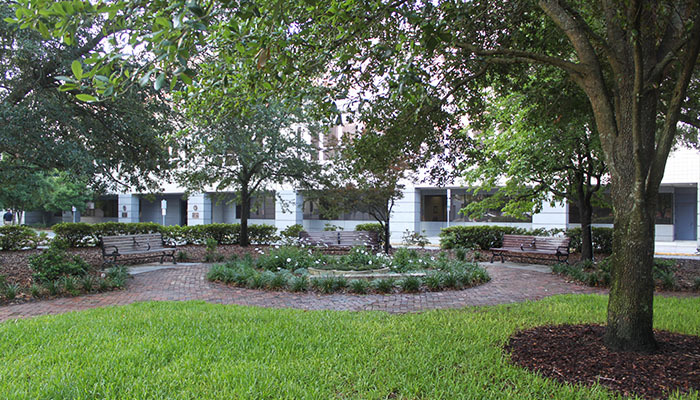 The square has two monuments, one of which honors of the Girl Scouts and another of a chambered nautilus. 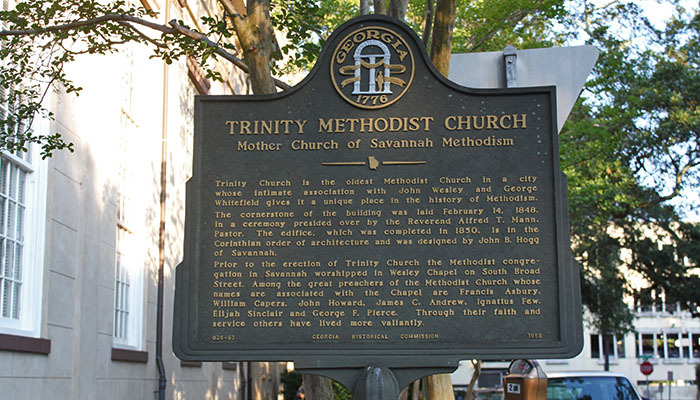 The square is also home to the Trinity Methodist Church, which is the oldest Methodist congregation in the city. 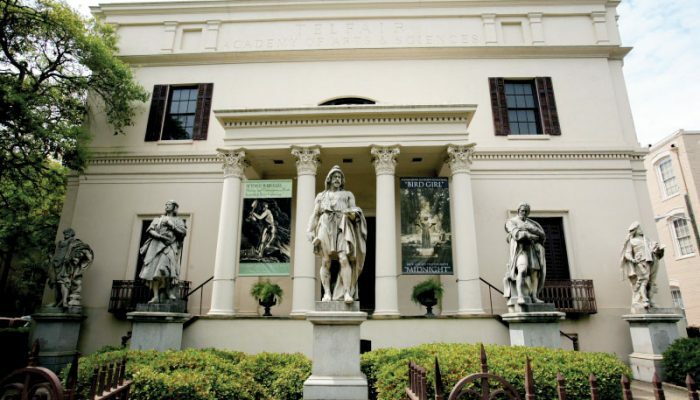 It was founded in 1807 and moved to this building after it was completed in 1850. 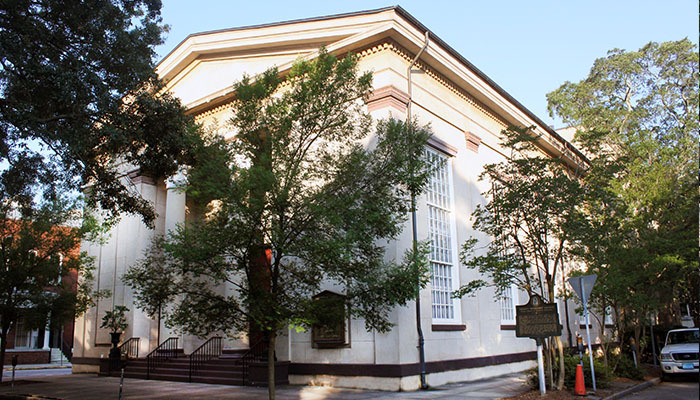 The church was designed by architect John B. Hogg in the Greek Revival style.